Vietnam’s key commodities, including apparel, leather, and footwear, are forecast to be hurt by the US-China trade war, which began on July 6 when the US imposed new tariffs on a majority of Chinese imports into the country, worth nearly $34 billion. 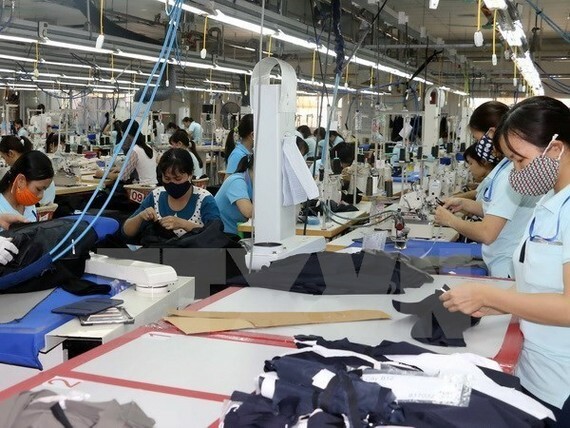 Chairman of the Ho Chi Minh City Textile, Garment, Embroidery, and Knitting Association Pham Xuan Hong said the US-China trade war’s impacts on Vietnamese garment firms are now uncertain as most export orders for 2018 had already been signed before tensions escalated. However, if the tensions prolong, the Vietnamese economy is likely to be hurt as China and the US are the world’s largest economies, as well as key trade partners for Vietnam. 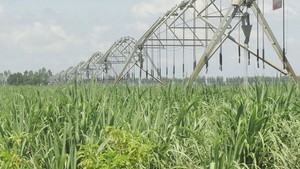 For other exports, the war may bring both opportunities and challenges, he commented, explaining that Vietnam may be able to boost shipments to the US due to the limits on Chinese imports. Furthermore, the depreciated Chinese yuan will give Vietnam an edge when importing materials from China. As the US imposes high taxes on made-in-China goods, Chinese manufacturers are likely to move their operations to Vietnam to fill the gap. However, if there is a wave of Chinese investment in Vietnam, the US is likely to limit the import of goods with Chinese materials, thus putting Vietnam at a disadvantage. Chairman of the Vietnam Leather, Footwear, and Handbag Association Diep Thanh Kiet said the trade war has indirectly hurt the consumption market because US and Chinese consumers have switched to buying necessities instead of more luxury items such as leather, footwear, and handbags – leading to a slump in demand in the two countries. From another perspective, if major foreign clients decide to move their production orders to Vietnam from China to prevent high taxes, Vietnam’s leather, footwear, and handbag exports could grow by 9-10 percent from 2017. As Chinese and foreign enterprises operating in China start to seek alternative manufacturing bases, Vietnam is highly likely to become one of the top priority destinations, which would thus create more jobs, and fuel more exports and economic growth. In the case of a flood of orders, it is forecast that competition for workers will be more fierce, resulting in higher workforce costs. If Chinese manufacturers begin a chain of bringing half-completed products to Vietnam for finishing, then exporting them to the US, Vietnam is likely to be subjected to the US’s preventive measures as well. The Vietnamese State was urged to well control border areas and imports via seaports to mitigate fraudulent activity in customs declarations. Associations and sectors also advised Vietnamese firms to exercise caution when seeking manufacturing connections or serving as a bridge between Chinese businesses and the US market, while also recommending they stay aware of fully grasping the market situation to make quick, appropriate responses.